One more in our 'Everyday English Online Tutorials' - those lessons that reach the English other videos don't ;-). This time Catherine and Rosie explain how to do a fishtail plait! If you have any suggestions for other videos you'd like to see, please leave a comment below. Britain's Best Beer Garden - In Southsea? 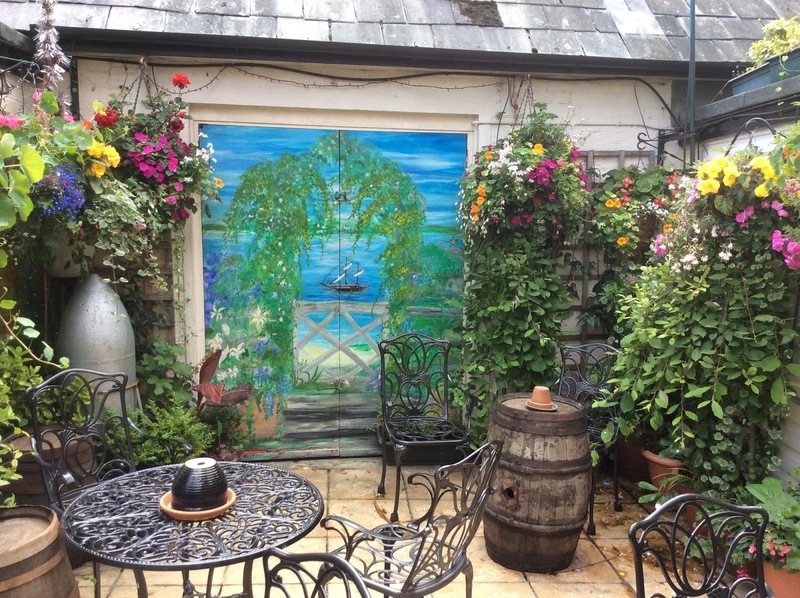 Our friends at 'The Barley Mow' in Castle Road in Southsea have been entered into Britain's Best Beer Garden 2016 Competition. one of the top ten pub gardens in the whole of Britain. It's not a large garden, in fact a special little secret many don't know about, but once you step into it you feel like you are in an oasis of calm. We are backing them, and hope you will vote for them too - the more support the better. Many people who come to learn English in the UK often say: I’d love to speak like the Queen! She speaks perfect English! But does she actually use the language in the way we imagine she does? English schools in England certainly don’t have English courses which specifically teach the ‘Queen’s English’. After all, what exactly is the Queen’s English? Many dictionaries define it as the language which is spoken by educated people who live in the South of England. Not surprisingly many people in the North would probably take offence at such a definition! Very few people, well-educated or not, actually use English in this way, even those from an upper-class background whom you might expect to do so. A few observers of the Queen feel that she doesn’t either. If, however, you did want to use the Queen’s English, then how would you go about it? 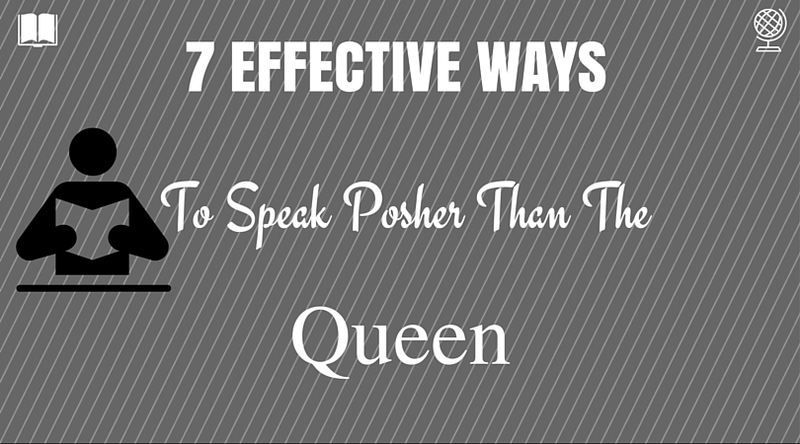 Listed below are seven effective ways to speak English posher than the Queen does! 1. Try to avoid using slang or jargon and keep the language ‘plain’. This is probably much easier said than done, especially since there is a certain amount of disagreement as to what is ‘correct’ language. 2. Always adhere to punctuation rules when writing. With the advent of social media, the correct usage of punctuation has gone out of the window. Only in more formal documents such as reports and instruction manuals is it being maintained. 3. Respect all grammar rules. There is a certain amount of debate as to whether it is necessary to use exactly the right structures to communicate effectively, but if you want to speak the Queen’s English then you should do so. 4. Use a more formal style of address. This was very true in the past, while as today this way of speaking to people may lead to bemusement as much as anything else. 5. Speak with an ‘old fashioned’ form of pronunciation. The Queen’s English is also associated with the way words are actually said, with a type of southern English accent called ‘Received Pronunciation’. Even here it is felt that the present Queen’s accent does not conform entirely to how she ‘should’ sound. Certainly if you were to watch newsreel footage taken when she first became Queen in 1952, there is a noticeable difference in her accent. 6. Read books written in the 19th century, especially by Charles Dickens (born in Portsmouth). These often have lots of ‘correct English’ in them. However, be careful as even here some characters use decidedly non-Queen’s English. 7. Read a book called ‘The Queen’s English – And How to Use it’ from the Queen’s English society. It will tell you everything you need to know. ‘You’re gonna speak real good English, like what I do!’P.S. Please note the last sentence is definitely not the Queen’s English. 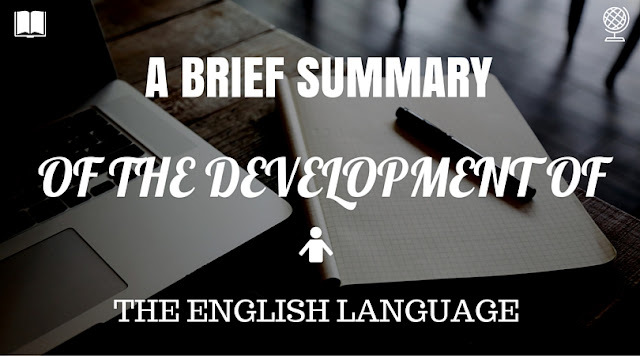 For people who wish to learn English, the development of the English language is in some ways an untold story. Even for those who speak English as their native tongue, many do not know its origins. So, where does the language that we use today come from? Like all languages, English has gone through a succession of changes. Much of the basis of the language came about during early medieval times (5th – 11th centuries) with the arrival in Britain of Germanic tribes from what is today Germany and the Netherlands. Their collective language was called Anglo-Saxon or Old English. Examples of Old English words are: I, you, good, name, woman, make, yes, and many others. The Viking invasions of Britain during this period also led to the inclusion of words from Old Danish and Old Norwegian such as: get, husband, knife, take, want, window and lots of others. In total over 25% of English words are of Germanic or North European origin. With the arrival of the Normans in 1066 the language began to change with the addition of Norman and Old French words. The period from then till the 15th century saw the population of much of Britain speak what we would call Middle English. Norman and Old French words include: beef, soldier, finance, music, blue, theatre and literally thousands of others. Nearly 30% of English comes from these two languages. From the 15th century English has continued to evolve into what is now termed Modern English. As a result of the influence of countries which were once part of the British Empire, English has taken on board plenty of words from Asia, Africa and the Caribbean. The experience of travel on the part of native English speakers and immigration to English-speaking countries from non-native English speakers has resulted in more words coming into the language from the Middle East, Italy, Spain and elsewhere. Throughout the centuries medical and scientific terminology, and not just in the case of English but also other European languages, has been heavily influenced by both Latin and Greek. It must also not be forgotten that while there are plenty of similarities between the English that is spoken in the British Isles, North America, South Asia and Australasia, there are some noticeable differences as far as pronunciation, vocabulary, and to a lesser extent grammar, are concerned. With the advent of new technology and platforms for using the language such as the Internet and social media, as well as an ever-changing and multi-cultural world, English will continue to evolve in the future. It is quite possible that the English that is spoken in a couple of hundred years’ time will be very different from that which is used today. 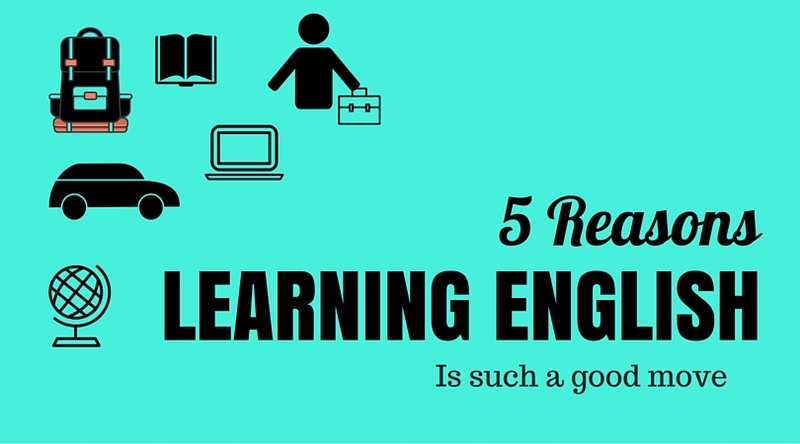 5 reasons why learning English is such a good move! 1. When you go abroad, you can enjoy your foreign holidays more, English is a universal language. 2. Always looks good on your CV, and will strengthen your qualifications! Which in turn will give you more career opportunities! 4. It’s fun, learning English in the UK is like being in a great big cultural melting pot. 5. Not only will you be able to understand more TV and films, you will also be able to follow the news, current affairs, books, magazines etc, there is so much in English, a whole new world awaits you. Can you think of anymore? Add them in the comments section below.